The Infinite Eye celebrates the sacred geometry unfolding the wisdom teaching As above, so below. This cut helps to place the center of infinity within our hearts and minds. The infinite flow of All that Is, centered in Divine Love, becomes our daily companion. Consciously using this tool for maintaining your personal connection with your Higher Self and with spiritual worlds will assist you in seeing your path of Spirit, leading you to experience compassion and forgiveness, accelerating your Spiritual Growth. 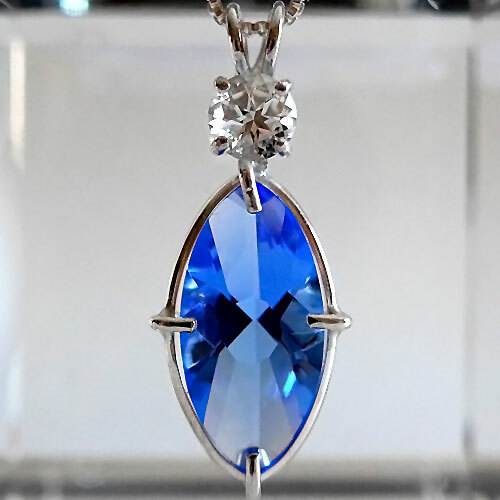 Use this lovely affordable cut crystal pendant to gently encourage your inner vision. Call us at 561-910-1871 or email us to request a combination not seen on this page.